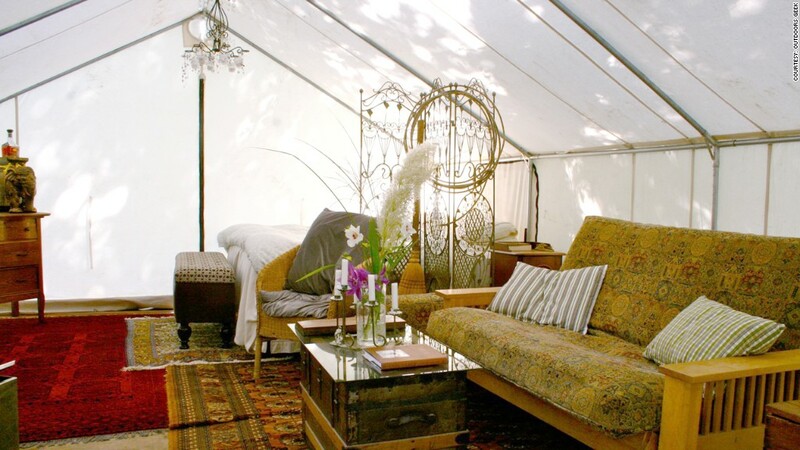 Outdoors Geek, based in Denver, offers glamping options that include queen-sized beds, couches -- even carpet. This elaborate set-up was for a glamor camping episode of the TV show "90210" in 2013. Most of the furniture was rented for the occasion.